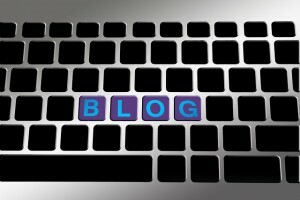 Creating a new blog can be an exciting and motivating endeavor. Whether you have expertise in one specific area or wish to cover a variety of topics, content creation remains a crucial component of success. The two biggest components of the process broadly speaking are to ensure that each piece of content is friendly to both readers and search engines. In the past, many bloggers either tried to optimize content for one or the other, but increasingly, the same strategies ensure optimization for both entities. To help you wade into the world of content creation, we’ve put together a variety of tips to consider when creating blog posts for both audiences and search engines. Anybody can write one blog post. The true masters of the game, however, have to find a way to consistently pump out new content on a regular basis. Without this ability, your blog isn’t likely to go very far. For those who want to pursue blogging, developing a reliable blog post structure is crucial. When you have a predictable format for how you plan to create content (in terms of word count, paragraph formatting and so forth), pinging your website with fresh updates becomes a lot easier. You no longer have to think about how you’ll structure each post, and can spend more time researching keywords, learning about topics and discovering great media to incorporate with each post. While figuring out the generic structure of your blog post takes some work, one aspect of it is simple: make room for headings and subheadings. Readers are known for having notoriously short attention spans, and to ensure they follow through with reading your content, you must segment it well. The use of headings and subheadings will not only convey to search engines what the post is about, but it’ll outline key points to readers and help break up the monotony. With so much competition on the internet, you need to stand out in terms of what you offer people. Study after study shows that people tend to prefer detailed, in-depth content over superficial content when it comes to written accounts, descriptions and explanations. Rather than obsessing over turning out a short and poorly cited post every day, opt instead for long-form content that draws on your knowledge and the expertise of others. Generally speaking, the longer the content, the better it performs in search (as long as you also follow the above advice regarding structure and formatting). In terms of optimizing SEO in blog posts, there are plenty of tools available to assist. For those using WordPress (which you definitely should be using), plugins such as Yoast SEO can provide helpful guidance on how to format your blog posts, what to include and how well you’re addressing the main technical components of on-page SEO. From keyword analysis to link and image advice, the plugin ensures that you’re adhering to the primary guidelines for great content. Thankfully, most SEO recommendations also happen to be good advice for creating user-friendly content as well. Most people don’t become all-star blogger overnight, but having a good foundation from which to begin can help you on your journey. Whenever you start pinging your website with fresh content, keep in mind the above advice and put it to good use: it’ll strengthen your content and make it more palatable to both search engines and people.